October 10, 2014 via BIT Magazine Energy production is a fundamental necessity that underpins modern society. Without it, society would grind to a halt. Energy policy is a challenging issue regardless of borders and is an issue we are all affected by in many ways. With electricity in particular emanating from massive, centralized projects such as hydroelectric dams, coal or even nuclear power stations, we feel overwhelmed about problems and costs energy production brings. But what if there was a way to decentralize the production of electricity translating it into more manageable terms for us to deal with as a community and as individuals? Some may already be familiar with one form of energy co-operative or another. For those that are not, an energy co-operative is a community investment in the means of producing electricity, with quarterly reports, annual meetings, voting, and dividends the responsibility and benefit of each shareholder in the community. Usually the means of power production is local, and is something the community is aware of, can visit and tangibly understand readily. One of the most successful and easiest energy co-operative to understand is the Baywind Energy Co-operative in the United Kingdom. Since 1996, wind turbines erected in farmland in northern England have provided enough electricity for over 1,000 homes. So successful have the original 5 wind turbines built by the co-operative at Harlock Hill, that they plan on replacing them with turbines twice as powerful. Also due to their success, Baywind has established a separate company to deal with inquiries and in assisting other co-operatives in replicating their success. Called Energy4All, their website covers frequently asked questions offering starting points for those interested in setting up their own co-operative. 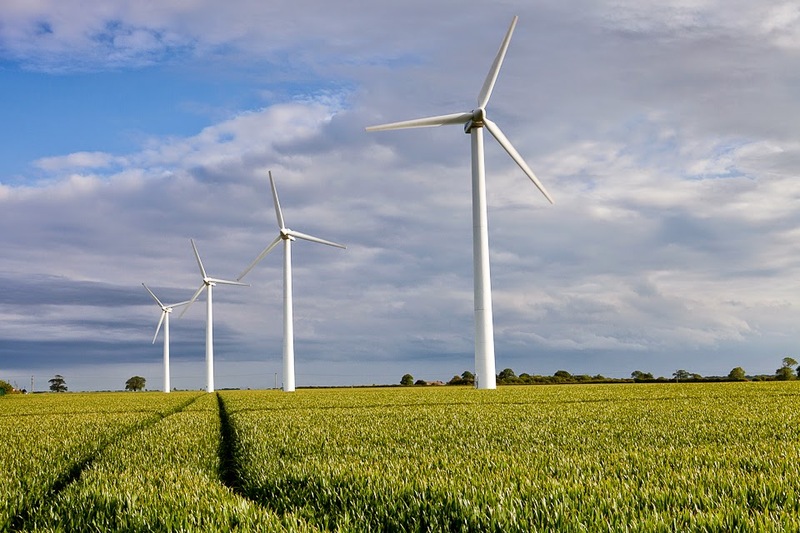 Wind farm co-operative ownership in the UK was originally the idea of a Swedish wind farm developer who wished to replicate the success of community ownership schemes that dominate in countries such as Denmark and Germany. Seven local people from Cumbria formed the Baywind Energy Co-operative which originally bought two turbines at Harlock followed by a second share offer to purchase one turbine at Haverigg. A loan from the Co-operative Bank saw Baywind own the entire site of Harlock Hill. Any size scheme or technology that is carbon neutral and produces no radioactive waste can provide a positive role in UK energy generation. Small-scale schemes, such as a 75kW turbine, greatly assist in overcoming public acceptance barriers and increase projects that developers may not explore due to scale, profitability or complexities. Meanwhile larger schemes can contribute to replacement of old nuclear and coal power stations therefore it is an argument of appropriateness that decides what scale and indeed what technology at site specific locations. Baywind sets an example that many other communities have followed and have provided independent, local energy and direct ownership over that energy to people all across Europe. Could similar co-operatives help put energy into the hands of other people around the world? Baywind's team of experts suggest that any size scheme or technology could be appropriate in starting an energy co-operative. Some communities may not have adequate wind to draw from and may find solar energy a better option. Some communities may find geothermal or biomass generators a more viable option. What Baywind proves is that energy production need not be a matter of abstract policy we are left at the mercy of, but a challenge we can begin meeting as a community starting today. As technology advances in areas such as solar power, hydrogen producing bioreactors, wind turbines, and other sources of energy, co-operative models like Baywind can be scaled up or down to exploit them for any given community's benefit. What resources does your community have to start a co-operative with today? Perhaps if your community lacks the proper forum to discuss these issues, that can be your first step, starting dialogue. For communities with makerspaces, it would be interesting to see small-scale projects demonstrate renewable energy that can then be scaled up for a Baywind-style co-operative. Everyone talks about "power to the people," but with energy co-operatives, such a sentiment can become a literal proposition.